The opening of a gun store in our community has ignited a fury of perspective on gun sales and gun ownership. 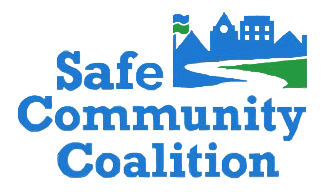 The Safe Community Coalition endeavors to support the efforts of our community to keep our children healthy and safe. Therefore, we are using this space to provide information to help parents keep their children educated and safe. sible, the direction to “Leave the Area” is also essential. It’s particularly important that children leave the ar ea where the firearm is located to avoid being harmed by someone who doesn’t know not to touch it. As we have seen recently in the media a child younger then 3 has the finger strength to pull a trigger. “Tell an Adult” emphasizes that children should seek a trustworthy adult, neighbor, relative or teacher — if a parent or guardian is not available. When scheduling playdates we often ask, “Do you have a swimming pool?” “Will you be home?” “Are there any food allergies?” The American Academy of Pediatrics recommends parents to ask too about guns. Broaching a sensitive subject like gun safety is a lot easier when you make it part of a routine conversation. Granted, it can be a bit awkward if you don’t know the host parents. You could bring it up in the context of your child’s curious tendencies, suggests Parents advisor Gary A. Smith, M.D. director of the Center for Injury Research and Policy at Nationwide Children’s Hospital, in Columbus, Ohio. Say something like, “Jake gets into everything, and I worry that if he saw a weapon he wouldn’t know it was dangerous. So I always have to ask, ‘Do you have guns in your home, and if so, how are they stored?’ ” If there is a firearm in the friend’s home, you need to decide if it poses a safety risk to your child. If you’re uncomfortable having your child play there, consider offering to host at your house instead. If you keep a gun in your home, the safety of your children and the children that visit your home is your responsibility. “If a child finds a ball, he’ll bounce it; if he finds a gun, he’ll shoot it. The impulse is totally natural,” says Dr. Ebel, who is also director of the Harborview Injury Prevention and Research Center at the University of Washington, in Seattle. Most states impose some form of legal duty on adults to take reasonable steps to deny access by children to guns. Virginia law prohibits anyone from recklessly leaving a loaded, unsecured firearm in such a manner as to endanger the life or limb of any child under the age of 14. It is also unlawful for any person knowingly to authorize a child under the age of 12 to use a firearm except when the child is under the supervision of an adult. Gun owners have the responsibility to make the access to their firearms restricted only to those who are qualified to use them. In a home where children or teens live, it is important to teach and educate them on basic firearm safety. Installing a trigger lock on a firearm is an excellent reinforcing action to take, further minimizing the occurrence of an accidental discharge. Another step to take is to lock and store ammunition in separate location from the firearm itself. All keys or combination codes should be kept away from children, and made available only to the firearm owner, or those who are allowed access to the firearms. The preventative care guidelines from the American Academy of Pediatrics advises parents of children who are diagnosed with depression and at risk for suicide to remove any firearms and ammunition from their homes. The AAP states that simply locking up a gun isn’t enough to ensure children’s safety – the firearms or ammunition should be removed from the residence entirely. The purpose of this article is not to be used as definitive instructions in teaching your children about guns and gun safety. Rather it is a starting point from which we hope you will continue to investigate, read, review and reflect upon.